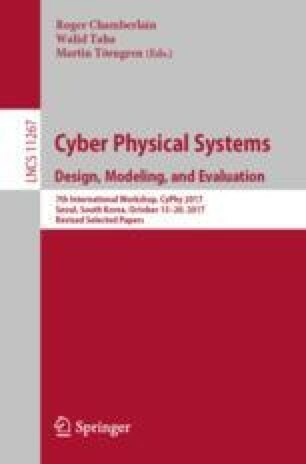 Hybrid systems serve as a high-level model of cyber-physical systems. Formal methods for hybrid systems have been studied energetically for around three decades and various methods for reachability analysis and approximation of continuous states/behaviors have been proposed (e.g., [1, 8]). Another line of technology, e.g., MATLAB/Simulink and Modelica, has been developed in the simulation of hybrid systems and has driven the rise of model-based development in the industry. While reachability analysis methods aim to analyze whole behaviors of a given system with carefully taking care of numerical computation errors, the latter technology focuses on efficient simulation of an approximated trajectory of a practical model. This work was partially funded by JSPS (KAKENHI 25880008, 15K15968, and 26280024).